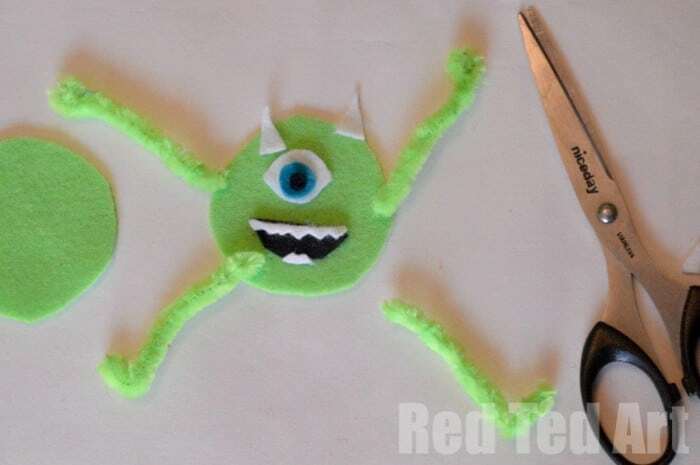 TOLD YOU we were on a Monsters Inc “craze” right now – so we made some Monsters Inc PUPPETS. The kids are crazy about them. They keep running off with them – before I can “snap” them playing with the finger puppets. 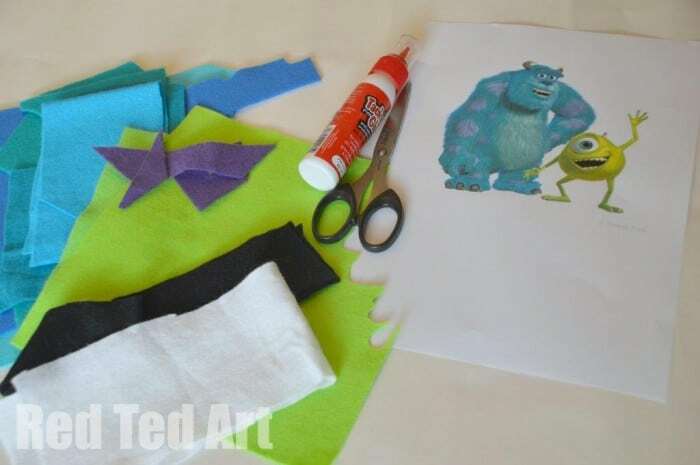 Once again, I would say “easy” to make – just cut and glue and you have your favourite Monsters Inc characters as puppets. We focused on Mike & Sulley Finger Puppets. 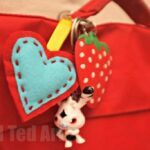 (Check our adorable Mike Pinata, simple LOVE HIM). 1) I printed out Mike & Sulley images to guide me. 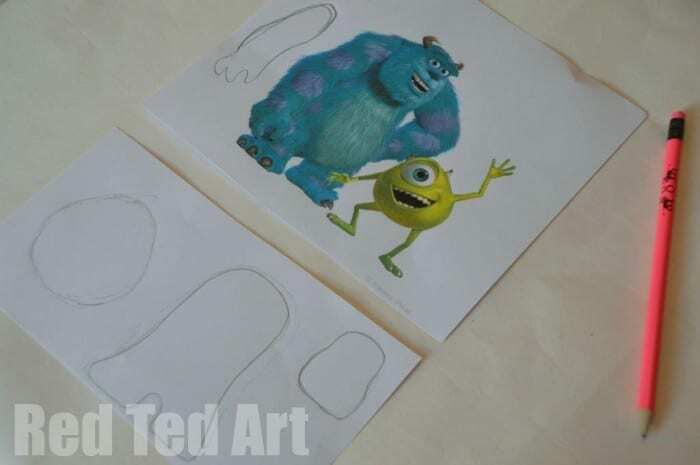 Looking at them I broken them down into body parts – a body with legs for Sulley, an oval for Mike. Some extra arms and a head for Sulley and some crazy eyes for Mike. You catch my drift. 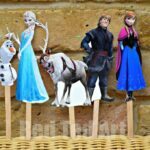 PLEASE LEAVE A COMMENT BELOW if you would like me to create a template for the puppets. 2) Cut them all out. Note for Mike, I did a white, blue and black eye – all from felt. For sulley, I coloured in the pupil on the white felt using a pen. Don’t forget the horns for both monsters!! 3) Sense check them – I found that adding eyebrows to Sulley REALLY made him look just the part. And then get your glue and stick it all together. 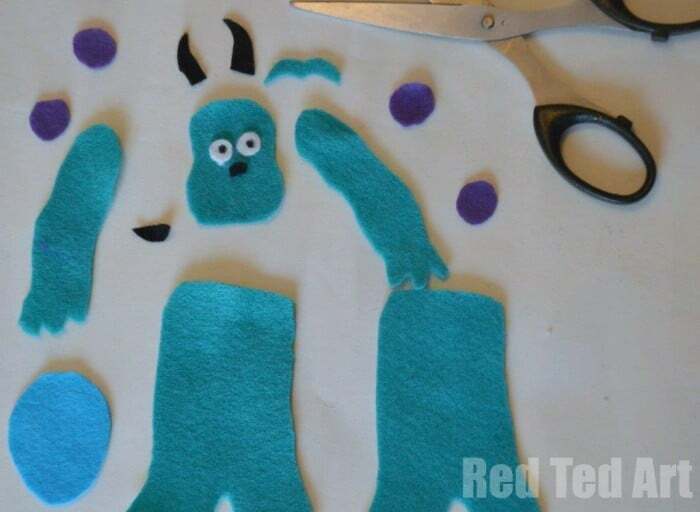 Make sure you glue the arms and legs in between the two body parts for both of the monsters… then add the other bits on pieces on “top”. Be sure to leave the BOTTOM of your monsters puppets OPEN so that you can insert a finger! 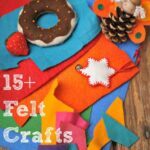 Note: CHEAP felt – tends to be stiff – will glue badly with PVA (white glue) and you will have to use a hot glue gun or sew it. Good quality felt (usually more flexible and contains more natural fibres) glues very well with PVA glue. So CUTE!! Please do make a template for these! I would love to make them with my son, but I am not good with coming up with patterns on my own. Thanks!! Nikki and Susan, have sent you an email. Can you let me know if the attachment works for you! I would love a template of these, they’re too cute! Please please please make a template! I would love to have the template if you make one. Email with it sent to you all!! Enjoy! Very cute! My 4 yr old requested these as soon as she saw the image. We’d love the template, please. Please template! You are awesome! I would also love to have the template for these! Such fun and so clever! Thank you! Have emailed you both and have fun!! Would love to make these with the kiddos this week, would you mind sending the template? Thank you so much! Love your site by the way! These are adorable!!! I think I need I make these for me, not for my little one! :p I’d love a template if that’s ok? Thanks!! 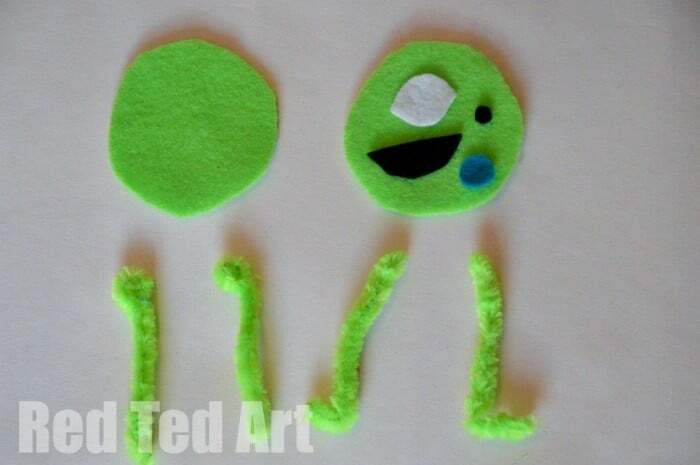 Great Monsters Inc. puppets! I’d love a template. Thank you so much. 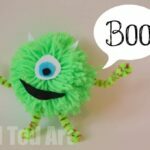 I have an activity with the classmates of my 4 year old son and would like to use your puppets. Can you e-mail me the templates please? Does that mean you want one Judy? Absolutely adorable puppets, and perfect timing. May I have a template please? I would love a template. I’m not artistic enough to attempt freehand (My monsters would look like monsters, but not THE Monsters.) Thanks! I LOVE Monster’s Inc! Would you please share your template with me? So cute!!! My son will love this! Can I have the template please? These are so cute! I would love a copy of the template please. My daughter is Pixar crazy and LOVES Mike and Sulley. She just got her own puppet stage and these would just make her whole month if I could get the templates. Can you please send me the template. They look great. Little man will live making theses. 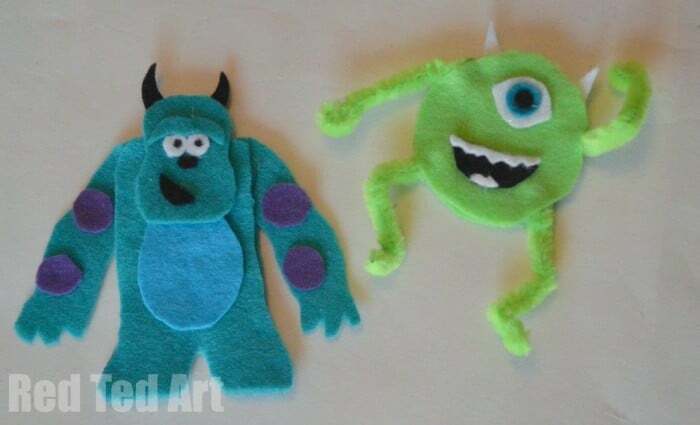 I would also love to make Mikey and Sully finger puppets. Could I please have a copy of the template? Thank you! Hello! 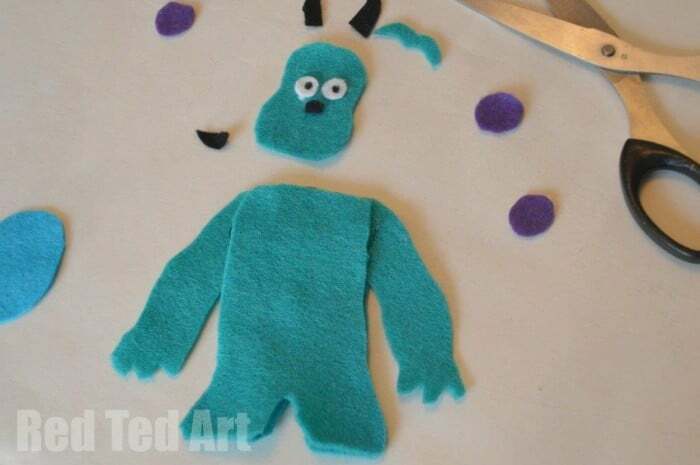 I would love to make the Mike and Sully finger puppets with my five year old son! Could you please send me a copy of the templates? Can I pls get the template pls! I fell in love with these!! May I please have the templates for your Monsters Inc monsters? Why don’t you just post them with the instructions if you have them made? These are adorable! I would love the template to make these. Do you happen to have a template for a santa hat? 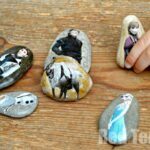 They would be perfect for Christmas gifts for my nieces! Hosting a Monster’s U party next month. Can I please get the template? Love it!! Please may I have the template for this awesome craft? Cheers! Template pls!! Am not great at drawing. Could probably manage mike but not Sully. 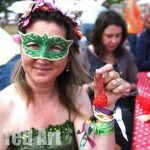 Fab idea! 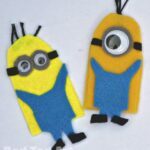 Have made minion finger puppets (must make more) and these will be a great addition I think! Am I too late for template – only just seen this post on FB today – we are huge Monsters fans in our house!!! Please, please, please send me the sully template. So adorable! Please make the pattern for these. ???? So cute! Did you post the templates? If not, would you please send them? Are you still emailing the template of Mike & Sulley finger puppets? I would love to have a copy! Yes! 🙂 I must load it to the blog!!! Right?!?! I would love the template for these!! My kids would love them!! Thanks!!! Hi! I just found this via Pinterest & would love to get the templates. Please send me the Sully template. 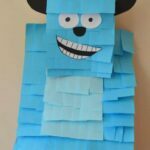 Making baby gifts and the theme is Monster’s Inc. Thank You so much for the template. They are SO cute. These are so cute, could you please send me the template? Can I please have the template? My son made one at camp but it got lost before he brought it home. I promised to find out how to make it and he could remake it at home. Thanks so much!! I know this is an old post, but I would love to have the templates for my sweet after school kiddos! Thanks! could I PLEASE get a template!! I LOVE these!!! My 2 year old is on a huge Monsters Inc kick. We’re having a family movie night tomorrow and I’d love to surprise her with these! May I please have the template? Thank you!! Would love to make these for my grandson for Christmas. Would you please send me the template? Thank you in advance. My daughter said “Make that” when she saw the pictures on Pinterest. Can I have the template, please? Could you email me the template please? This is such a wonderful idea!! I would love the template please !! These are adorable! Could I get the template for them please? Thanks so much for the great idea!